Are you ready for Miami journey? In this game you are going to get points among palms! 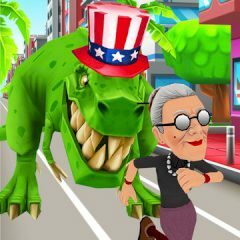 Another Angry Gran Run game, but this time you will do it on Miami streets. Just jump and duck again, turn on corners and make sure that you will get maximum points!